In a stunning move, the Cook County state’s attorney’s office drops all charges against Jussie Smollett. The “Empire” actor was charged with more than dozen counts of disorderly conduct for allegedly staging a racist, homophobic attack against himself earlier this year. Smollett continues to maintain his innocence, but prosecutors say their case remains airtight. Amid scrutiny for having recused herself from the case, Cook County State’s Attorney Kim Foxx goes on the defensive. Meanwhile, Mayor Rahm Emanuel and Police Superintendent Eddie Johnson defend detectives’ work, rip prosecutors and ask Smollett to foot the bill for the investigation. Even President Donald Trump weighs in on the high-profile case, tweeting a demand for a Justice Department investigation into the matter. More: Confused by Jussie Smollett Case? Here’s What You Need to Know. With Chicago’s mayoral race drawing to a close, a WTTW/Crain’s Temkin/Harris poll predicts a lopsided win for Lori Lightfoot. The final televised debate between Lightfoot and Toni Preckwinkle is mostly civil until a feisty final few minutes. Celebrity architect Jeanne Gang gets the nod for a new O’Hare terminal. And in sports, the Cubs win their regular season opener against the Rangers while the White Sox fall to the Royals. The conversation continues in our web-extra video. 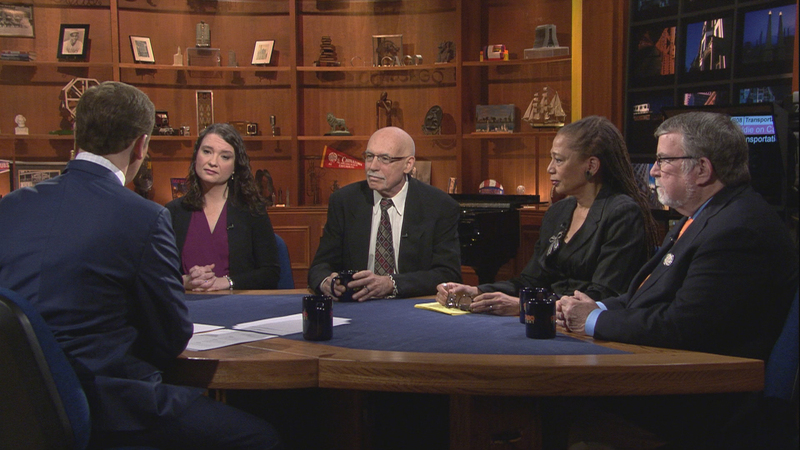 This week, Arruza and guests discuss an assessment by veteran City Hall reporter Fran Spielman of the frenzied final stretch of Mayor Rahm Emanuel’s term and why she believes Emanuel is “obsessed” with his legacy.